With all the copper spray painting happening this week, you know we just had to go there. 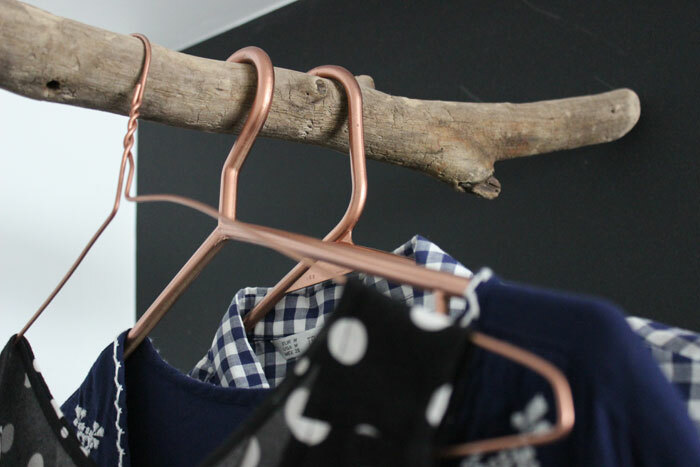 Inspired by those copper clothes hangers at Lagerhaus on my recent trip to Sweden in May, I decided to make some myself! Turning plastic ones into copper! 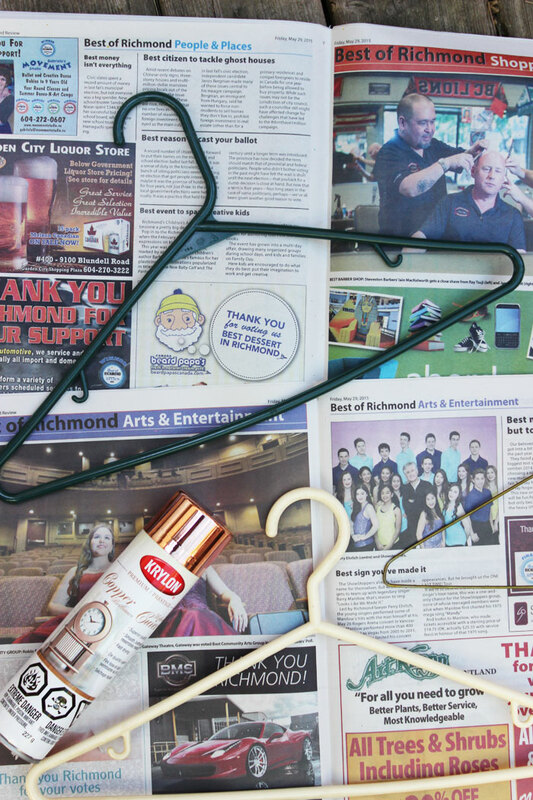 Another simple project using copper spray paint in just a few minutes. Magic! (Note these are more for display purposes than to be used everyday). I wonder how long this will last. i'm obsessed with copper accents right now, but my impression is that most of the spray on paint does not hold well against friction, rubbing, etc, so in this case I'm guessing the hook might lose the paint pretty soon where it touches the rod. Especially if the hangers are metal. I've actually done this awhile ago and Ksi is right. 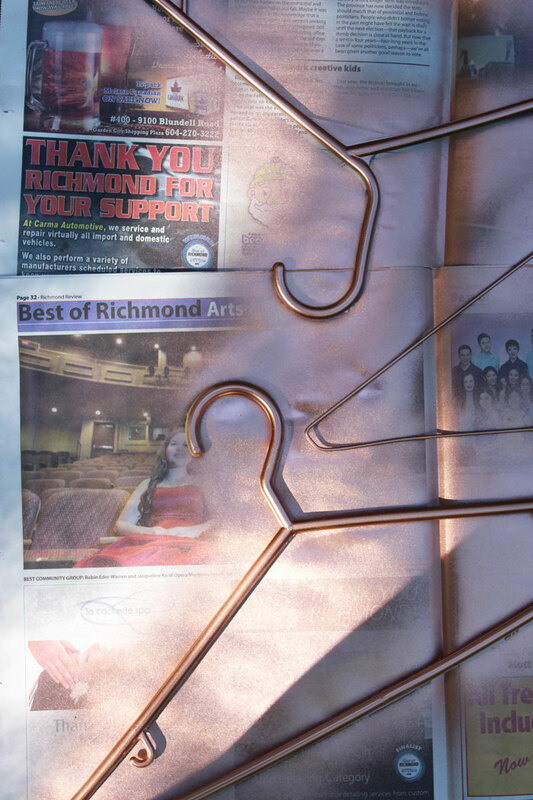 The copper spray paint does wear off from friction and just a lot of moving clothes on and off the hanger, moving the hanger around the rod, etc. So I would recommend a clear coating just to make it last longer. Maybe a Polycrylic coating? I'm not sure. I haven't tried, but I definitely would like to hear if anyone else has experimented with coatings! Eleanor and Ksi - yes - i'm not expecting it to last - it is more for a fun display or for photographing perhaps. 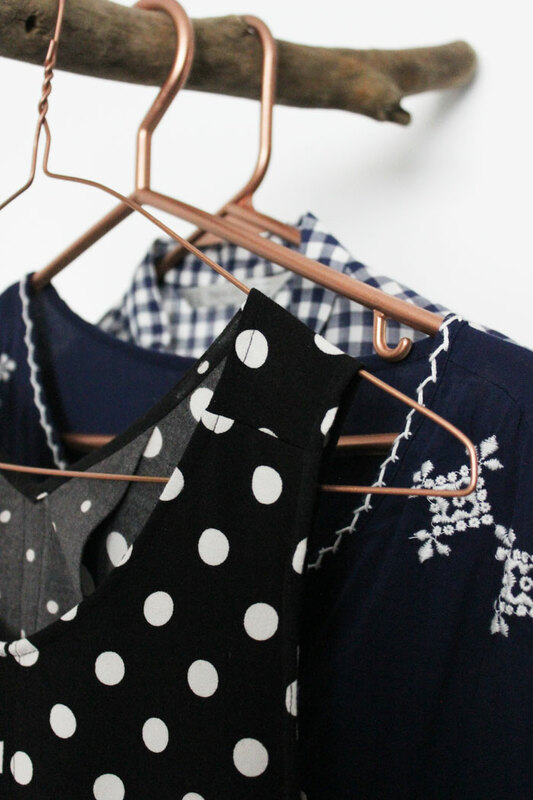 Even though this spray may not last too long, I still thing this is an adorable way to decorate your hangers! 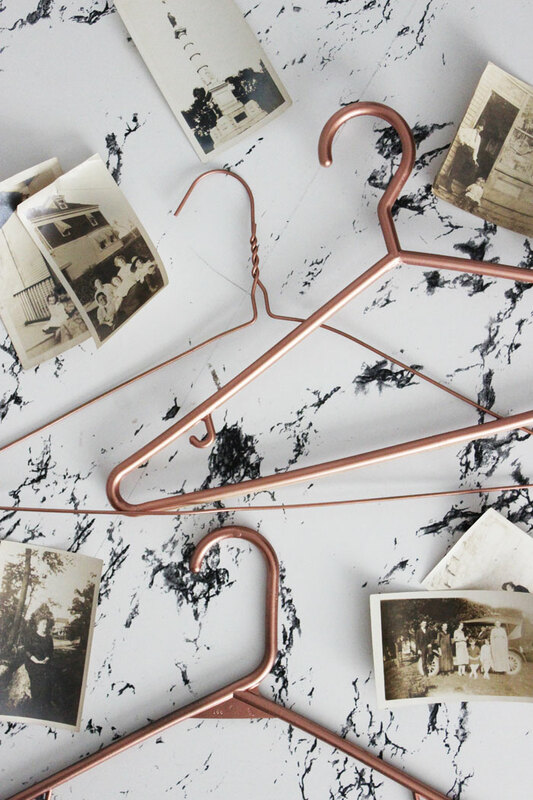 I have some pretty ribbon covered hangers but would love to do a DIY- Maybe I'll try this for starters! Copperspray is awesome. I used it for several different purposes and it is addictive. Isn't it?! Diana - yes - it's perfect for that! Ageeth - agree - found myself wondering around the house looking for other things to spray. 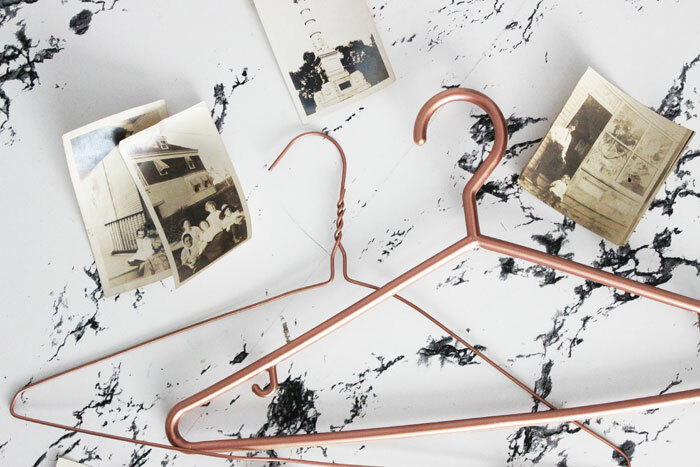 I'm obsessed with all things copper so these are perffeeeeeect! Thanks for sharing, will be making my own soon!